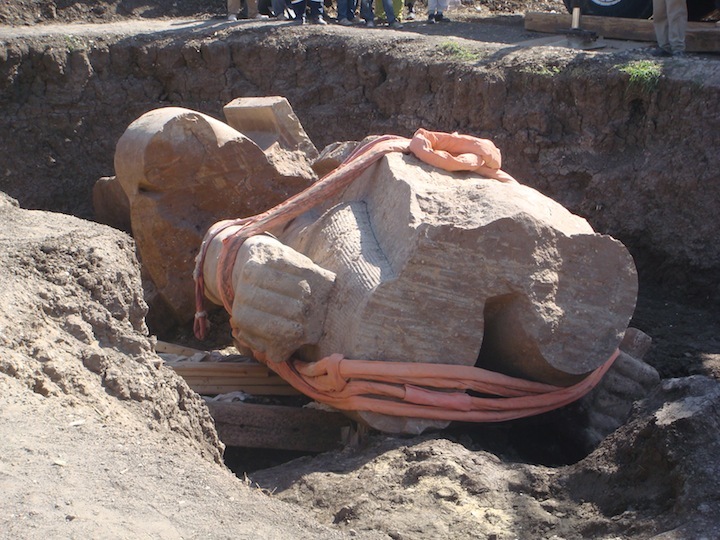 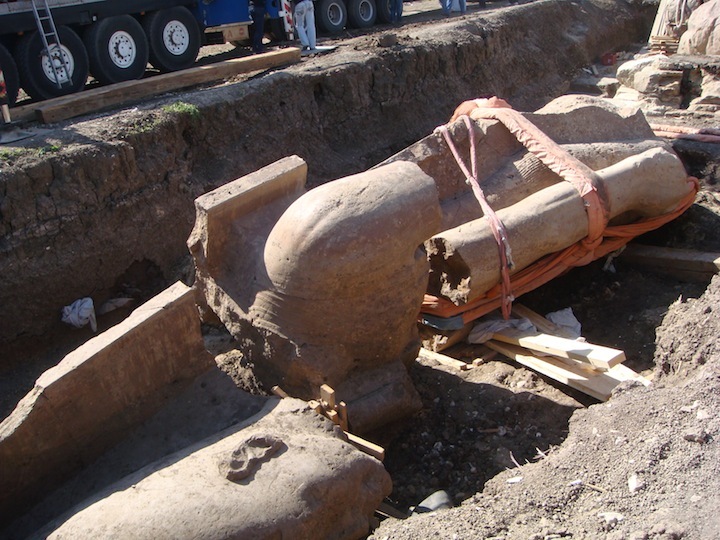 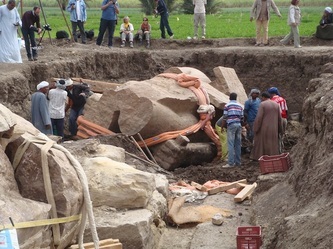 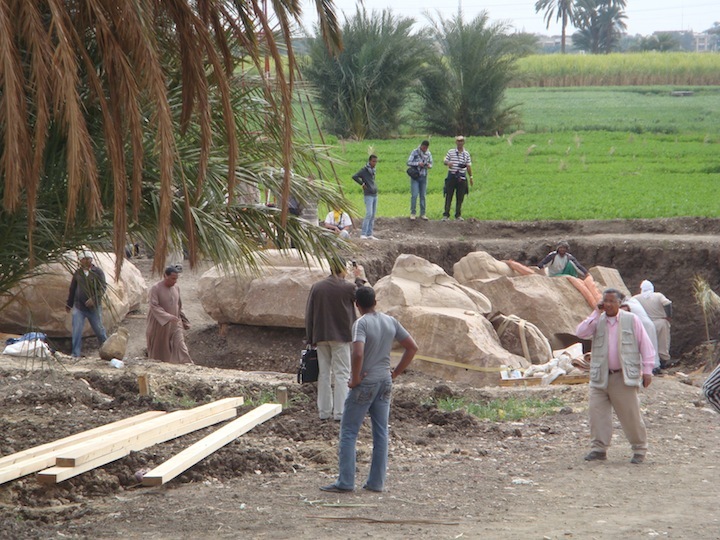 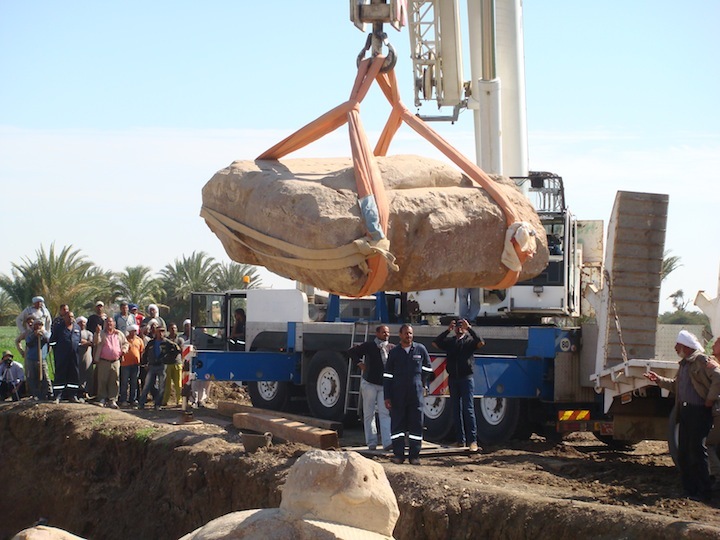 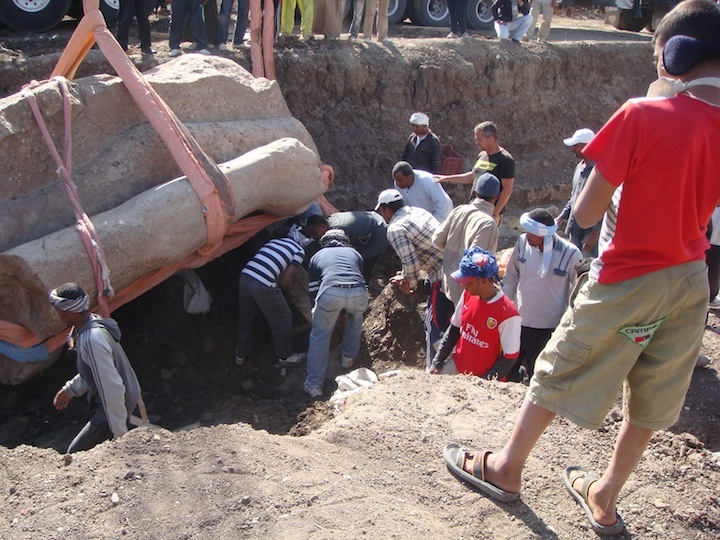 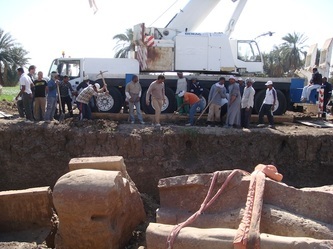 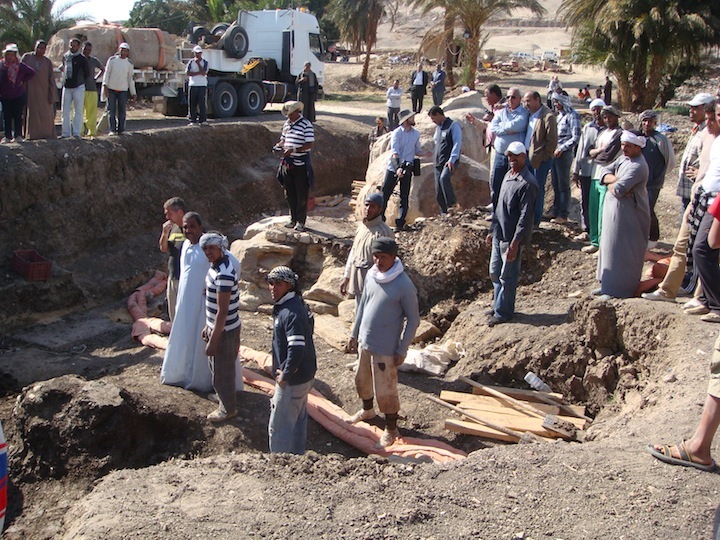 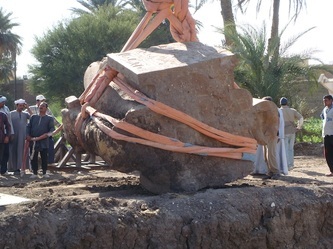 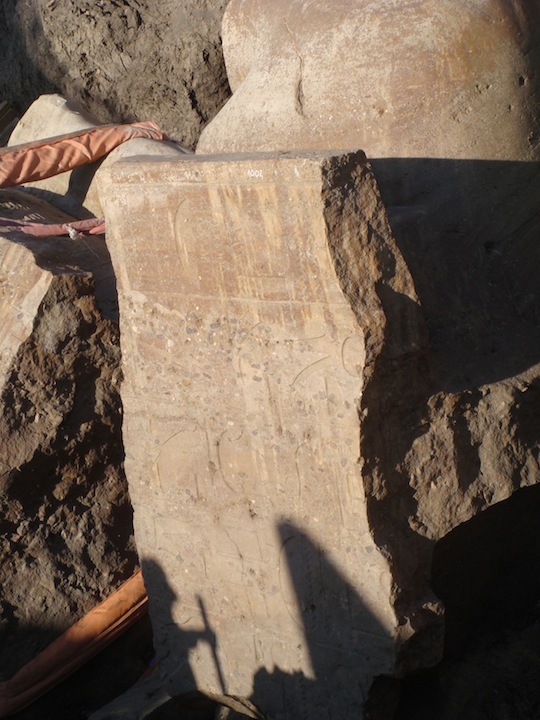 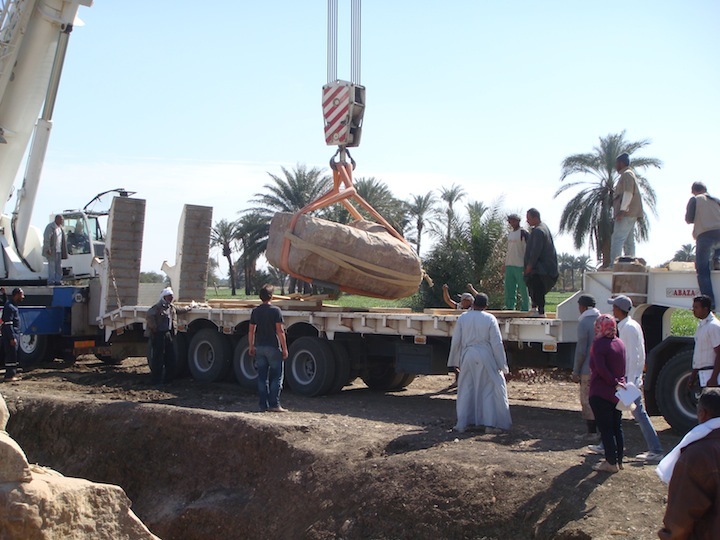 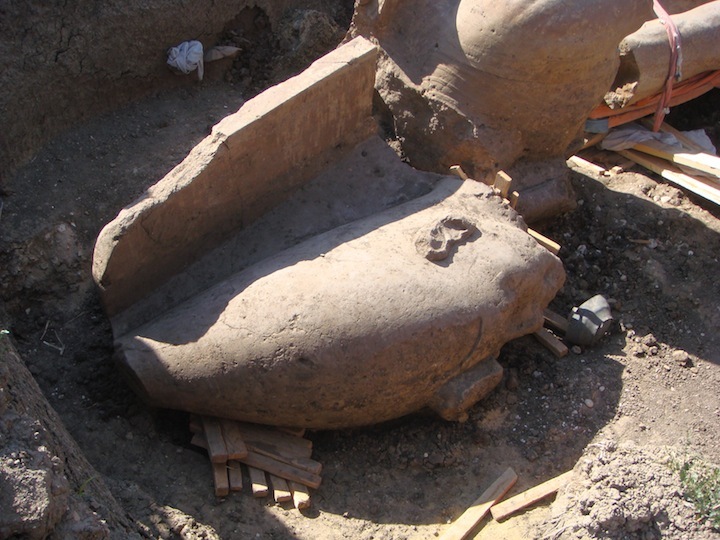 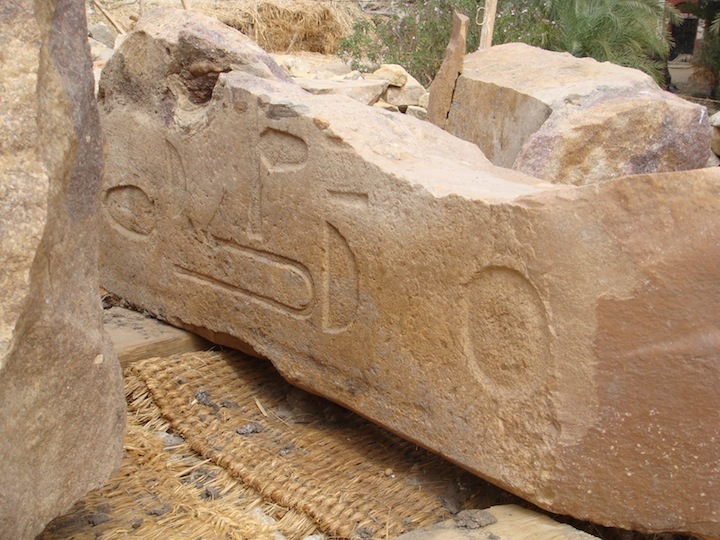 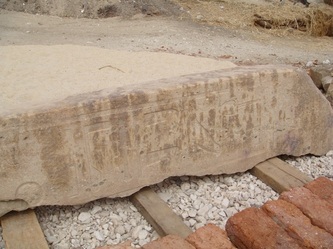 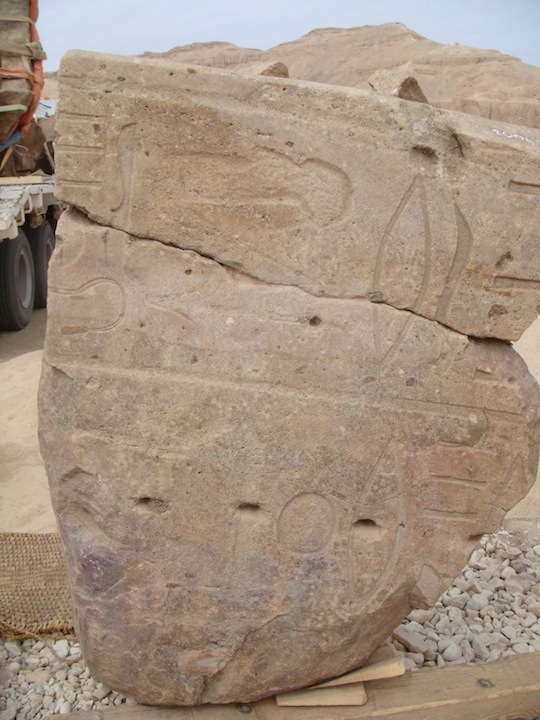 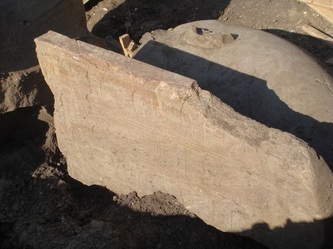 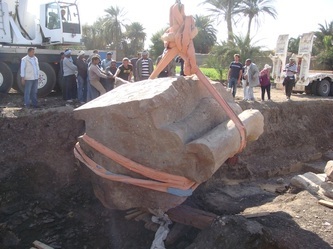 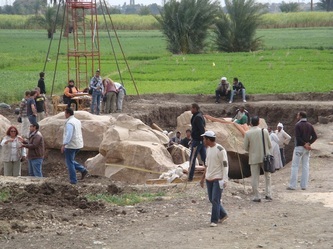 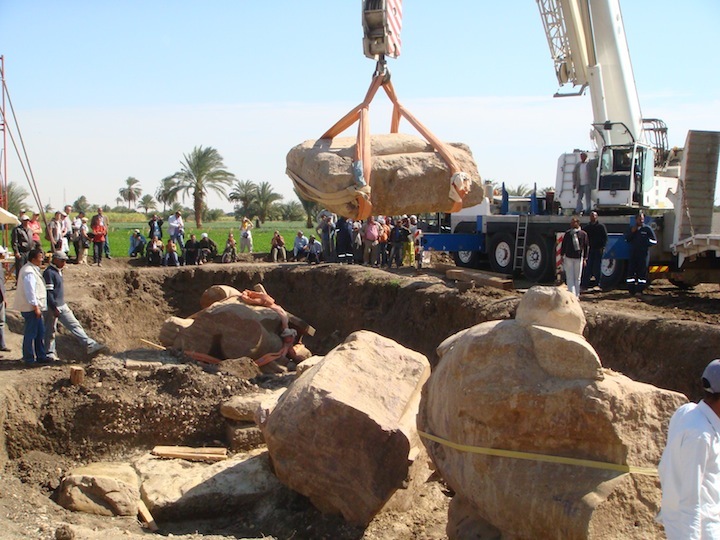 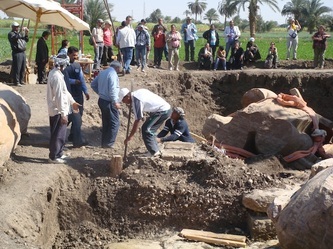 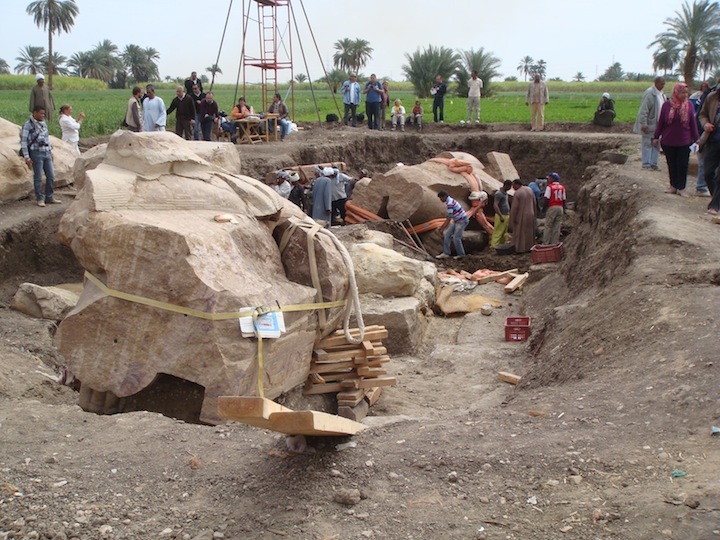 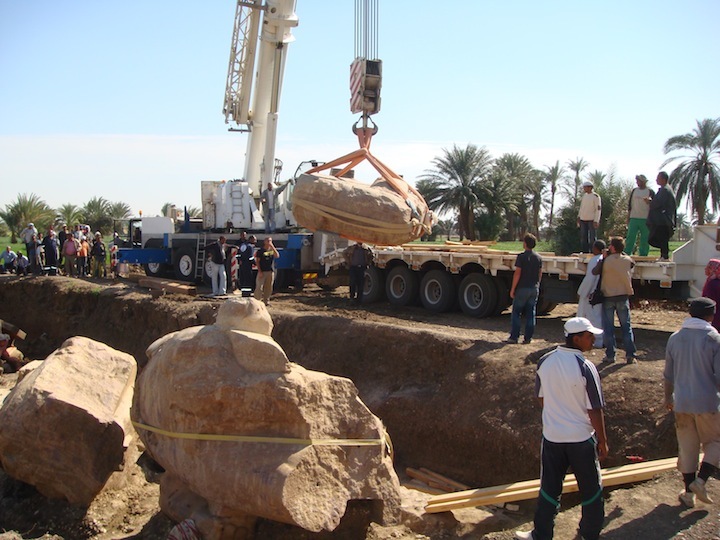 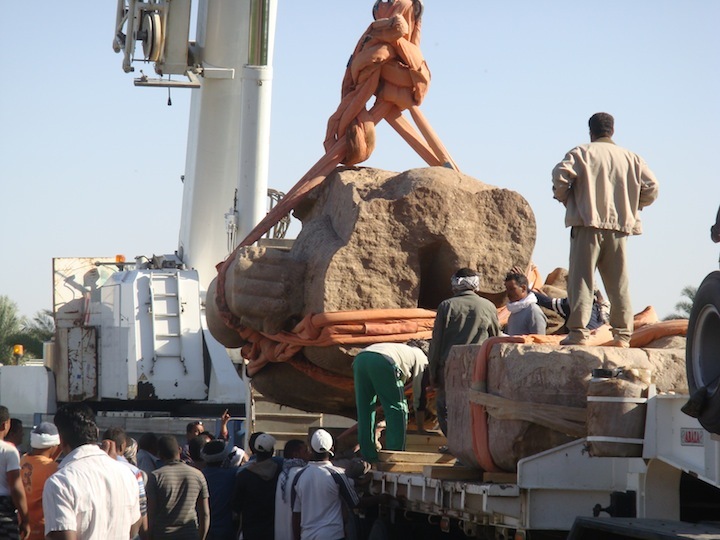 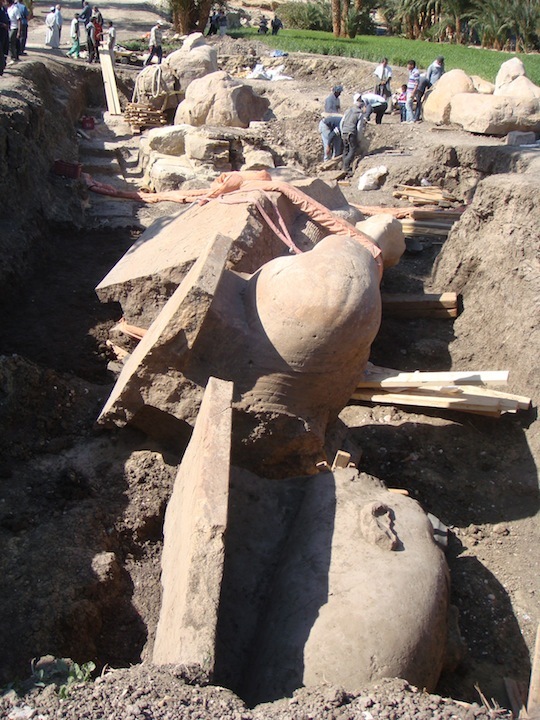 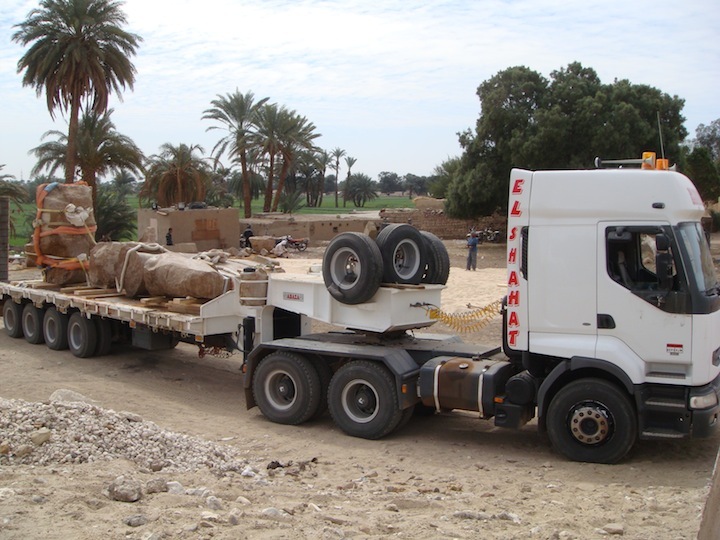 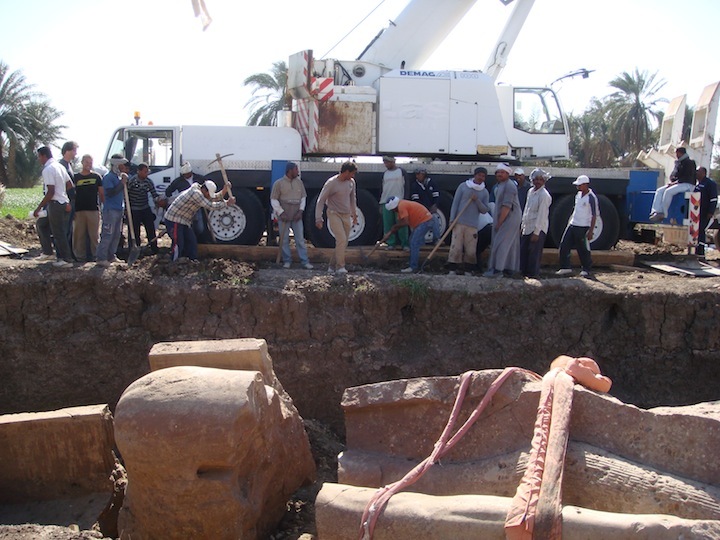 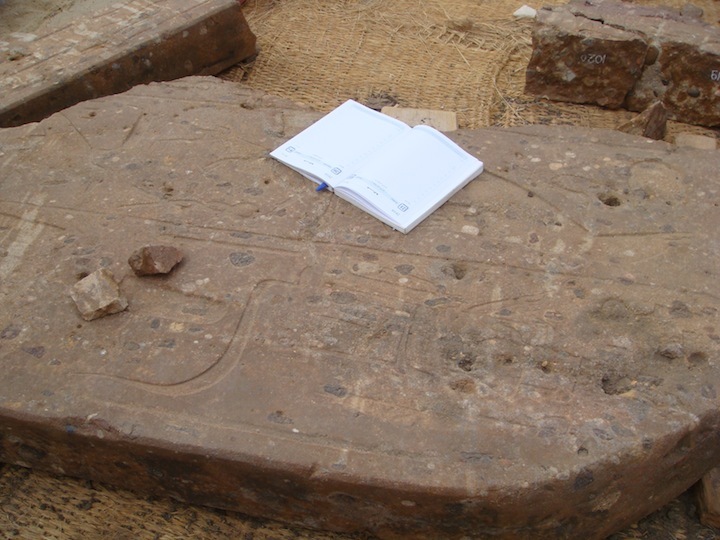 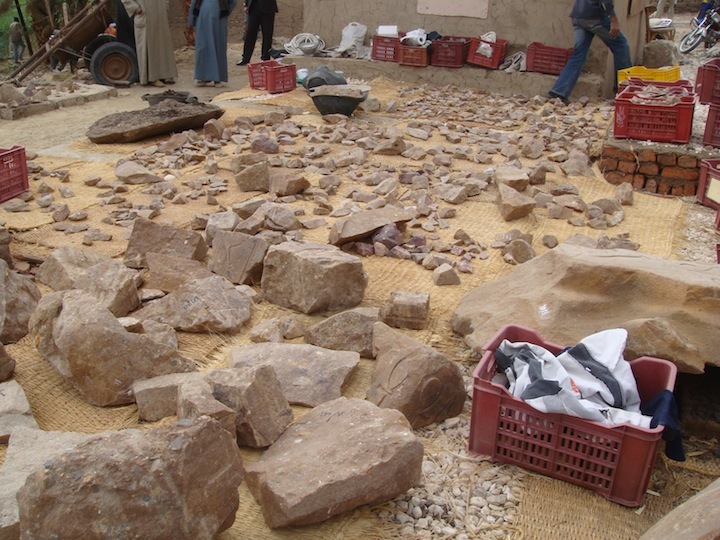 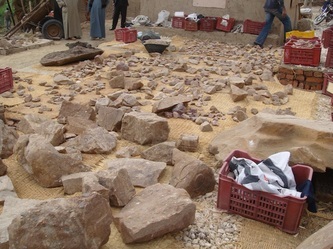 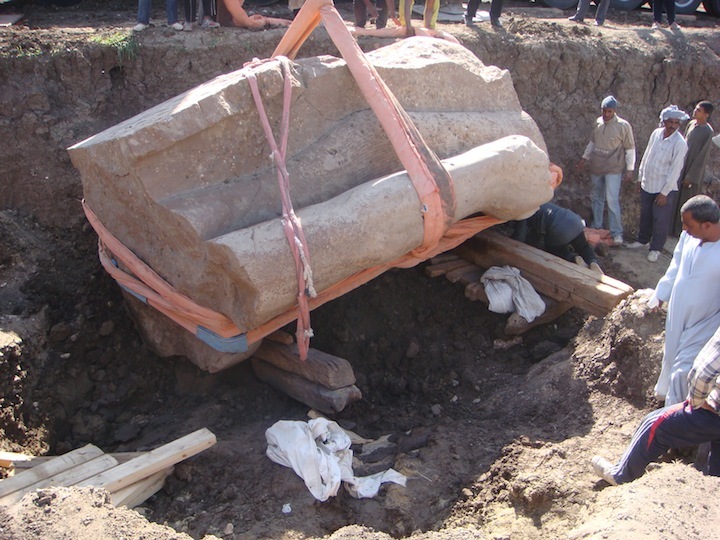 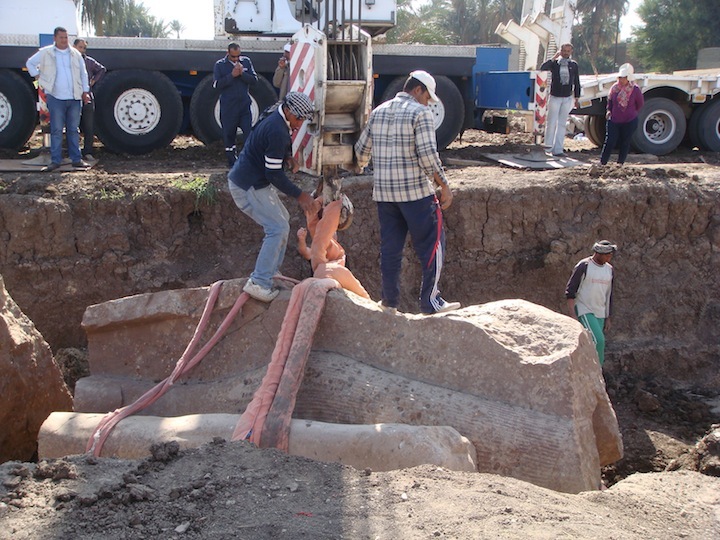 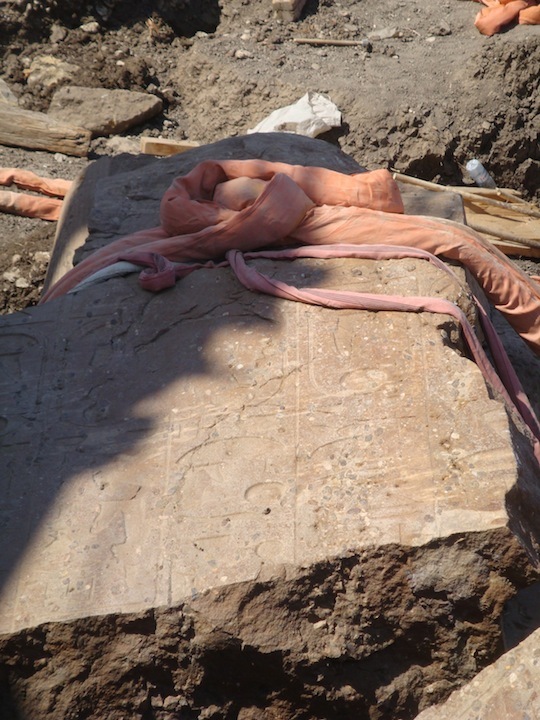 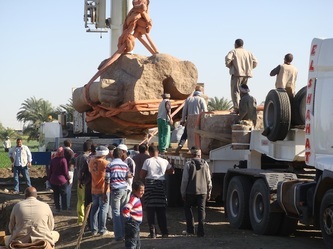 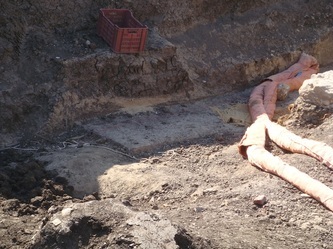 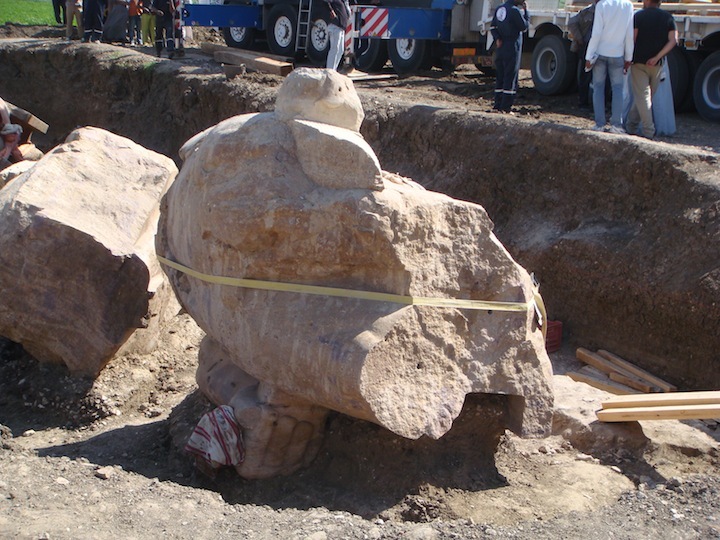 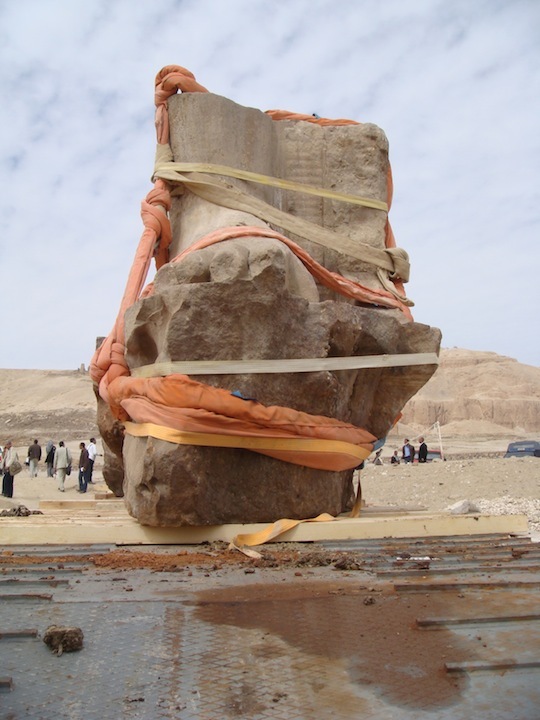 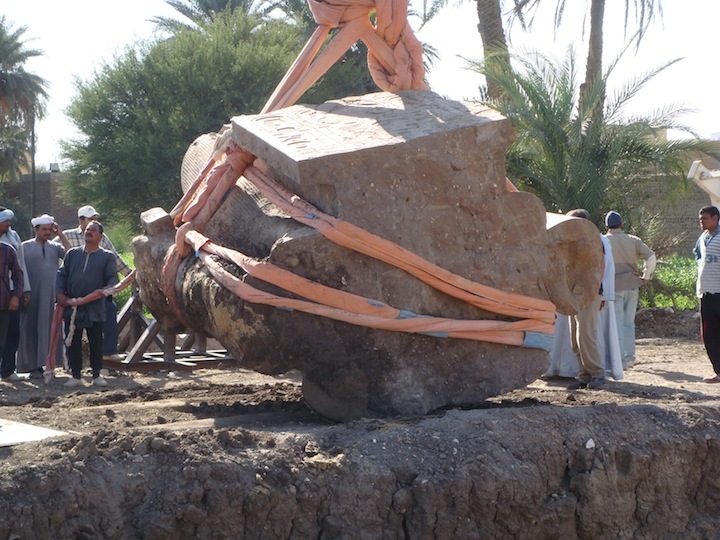 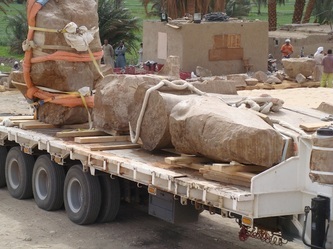 Today was a ceremony for the raising of a torso weighing 47 tonnes, part of a 13 metre colossi at the North End of Amenhotep III Mortuary Temple. 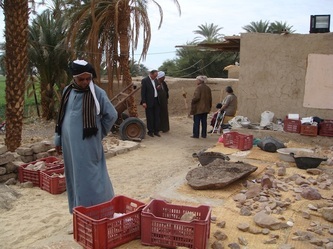 Mansour Boraik invited all from the Sunday lecture to the ceremony. 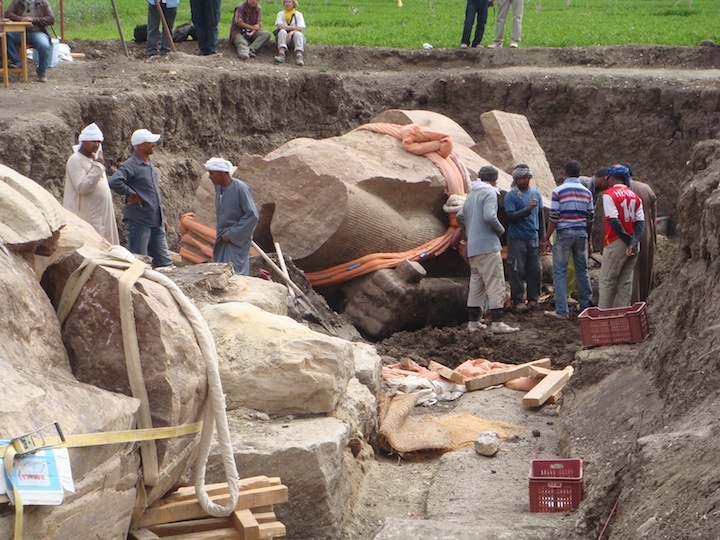 There are two colossi laying some two and a half metres below ground level in a private field. 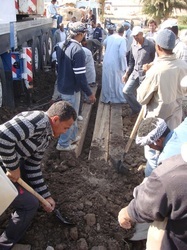 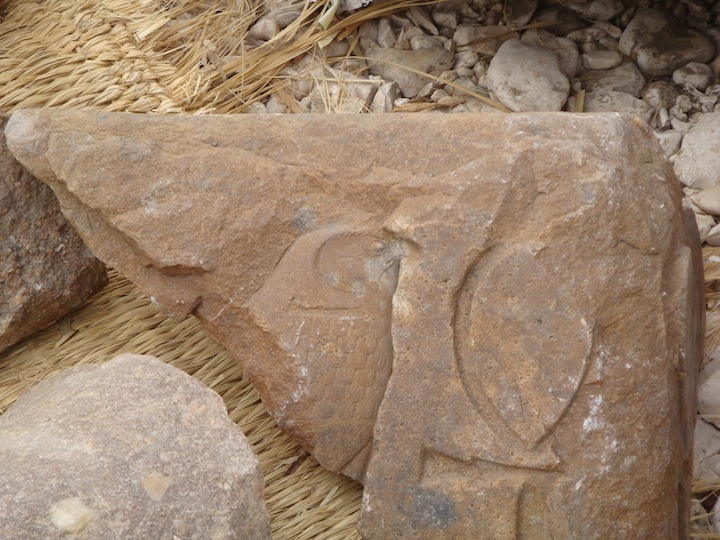 They were found in 2010. 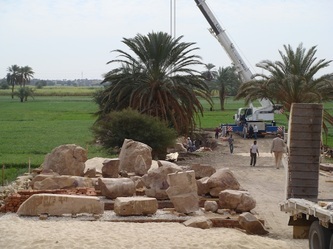 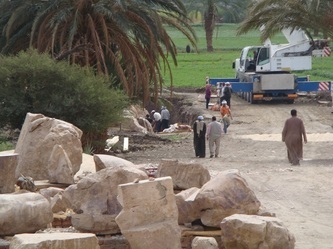 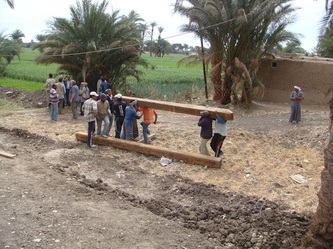 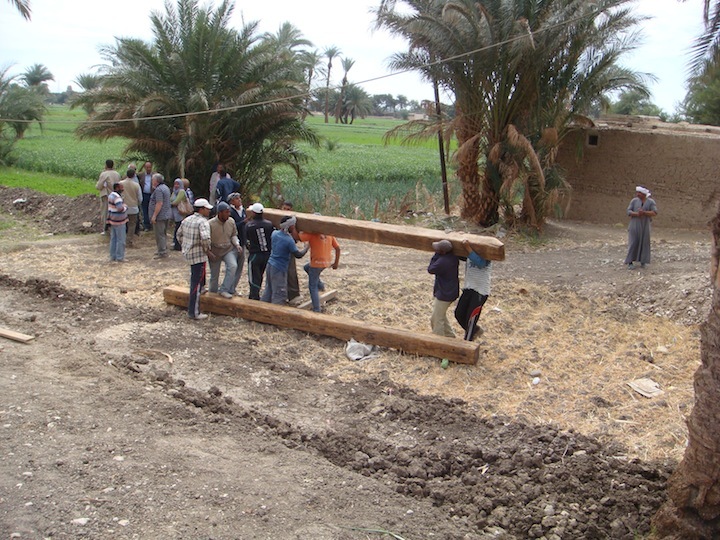 They will raise all the parts of the two colossi and reassemble them to the West of the original site and facing the same direction as those at the Memnon (to the East). The first colossus to be raised is in three pieces. There is still some nice colouring on these parts. 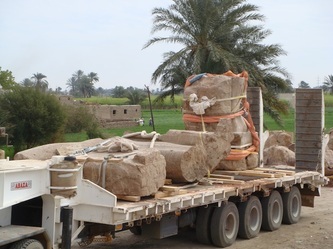 Attending the ceremony were Secretary General of Antiquities - Adel Abd El Sattar, Director of Egyptian Antiquities - Mohamed Abd El Moqsoug, Deputy Director of Egyptian Antiquities - Mohamed Elbially, Governor of Luxor - Ezat Saad and Director of Upper Egypt Antiquities - Mansour Boraik. 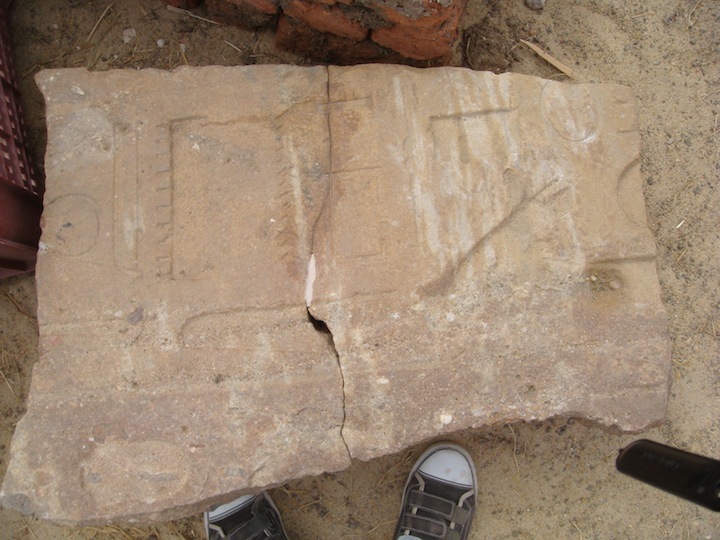 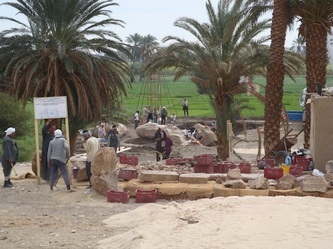 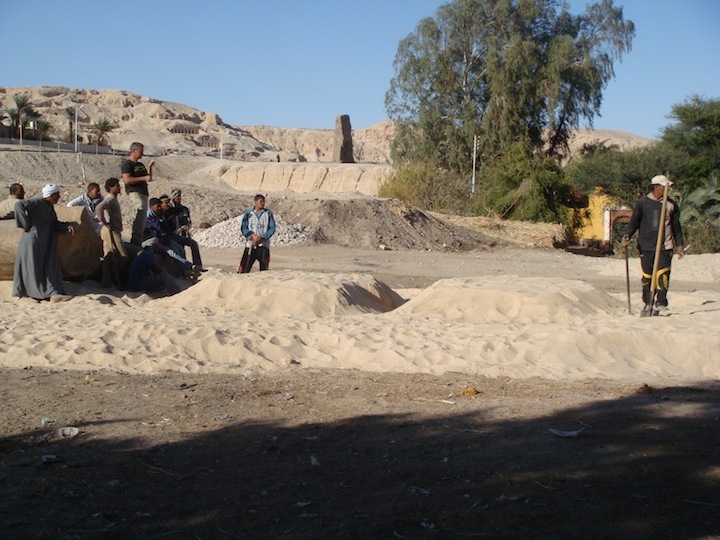 There were TV journalists and the National Geographic, also many many local people both Egyptian and foreigners living here that all share the same interest and passion for the Pharonic history. 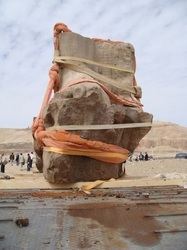 It was indeed a very exciting moment when the first part of the colossi was lifted off the ground; there was applause. 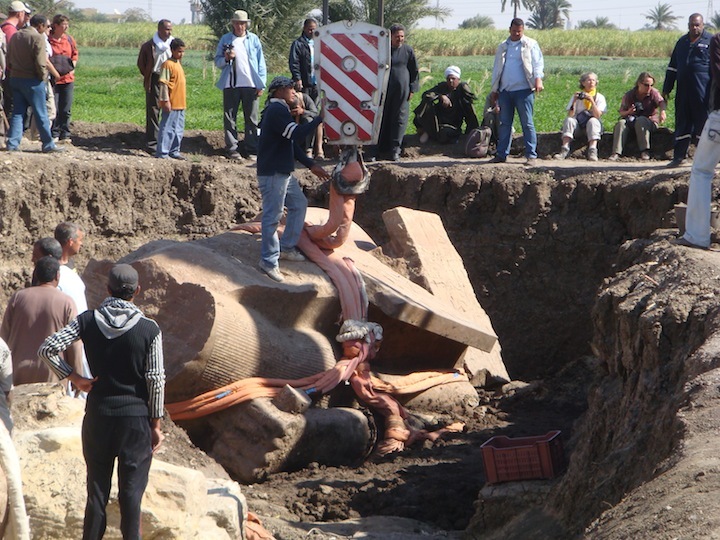 Toppled Colossi. 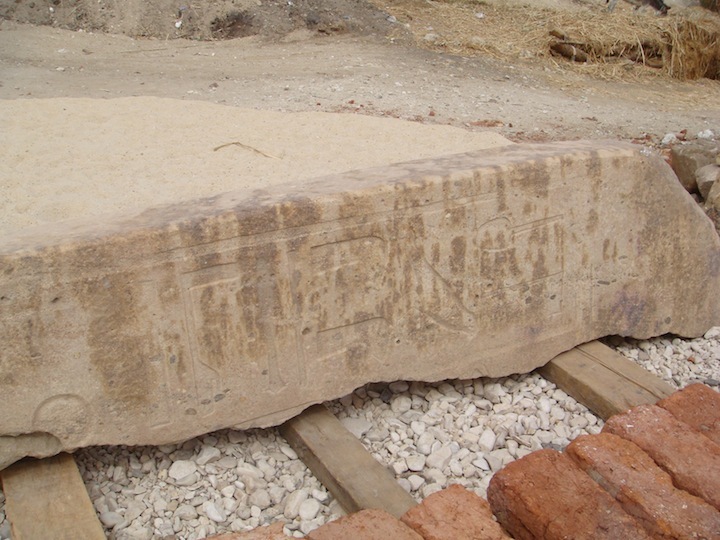 In ancient times there was much damage caused by earthquakes. There have been many accounts of earthquakes in ancient Thebes but there is a lack of information to prove it. 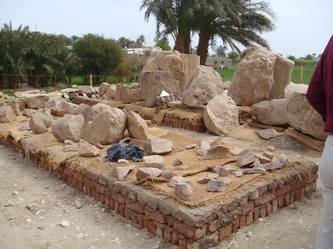 It has been suggested that Tuthmosis III temple was destroyed by a rock fall caused by an earthquake around 1100-1080 BC., Ramses II temple was nearly destroyed in ancient times and the earthquake in 600 BC devastated the region of Thebes. In 1899 many columns were toppled in Karnak temple. 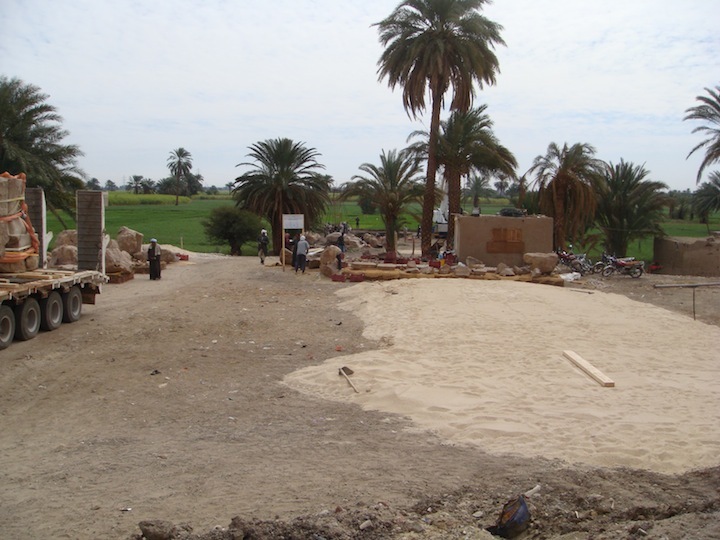 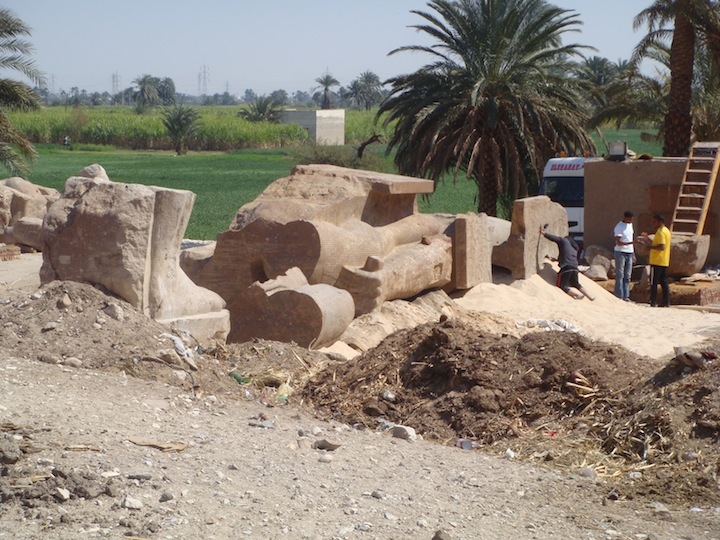 Amenhotep III temple and the Ramesseum suffered from earthquakes where columns and colossi fell. 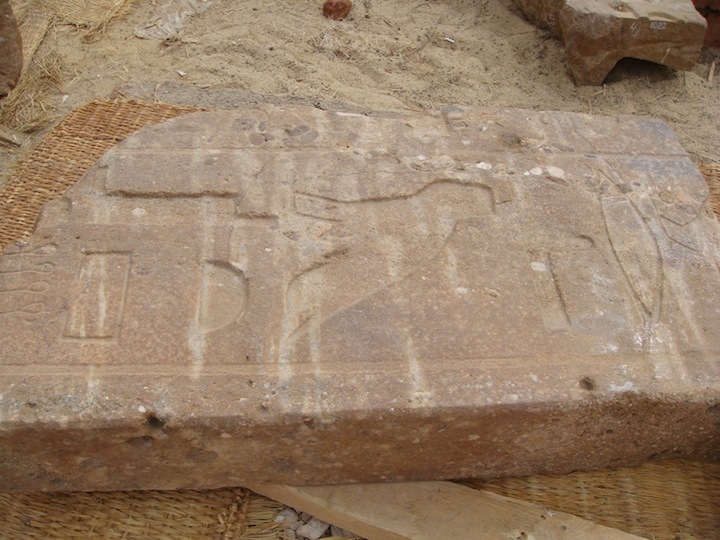 Amenhotep III was the Ninth King of the Eighteenth dynasty. His wife was Tiya, his father was Tuthmosis IV and his mother was Mutemwiya. He is believed to have rained around 40 years. 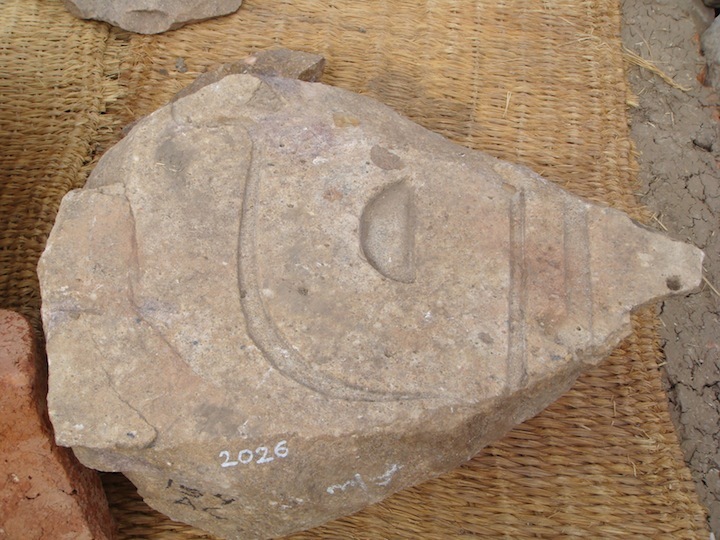 His son ruled as Amenhotep IV but changed his name to Akhenaten. 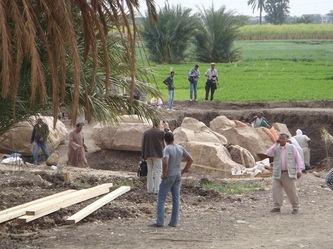 Amenhotep’s Mortuary Temple is located in the Theban necropolis on the West Bank near to the Colossi of Memnon; the Colossi being at the first pylon entrance to the temple. It is said to be the largest built mortuary temple on the West Bank. 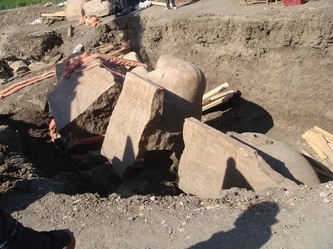 The final resting place for the two Colossi where they will be reassembled.